This means that central e-steering components like steering pinions are always the production planners focus because of the increased pressure on cost and number of component variations. Therefore, the production of these components is a task for specialists like KmB Technologie, based out of Zerbst near Dessau. The company relies on an unusually lean production line for the comprehensive hard and soft machining of the component consisting of13 interlinked EMAG machines. The soft turning at the beginning of the process is performed on three EMAG VT 2-4 machines. Afterwards, the gear hobbing starts on two parallel EMAG KOEPFER HTC 150 H machines. The components are then hardened in an EMAG eldec induction hardening plant. 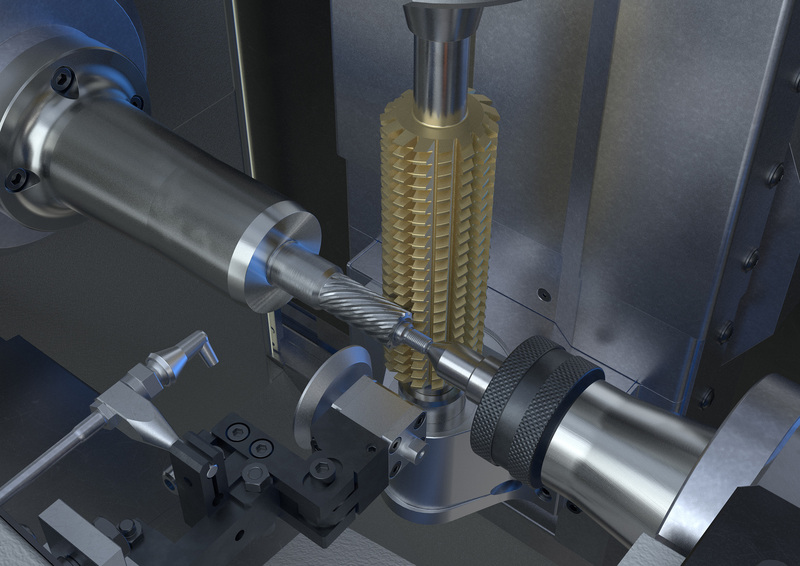 The hard turning operation is performed on the EMAG VL 2 DUOline. Grinding processes on two EMAG VTC 100 GT turning /grinding machines, and hard skiving on three EMAG KOEPFER HTC 150 H machines, follow. Presently, around 1.5 million components leave the KmB plant annually, and this number continues to rise. The modular and interlinked EMAG machines play a major part in this success: They harmonize perfectly, are efficient, and guarantee a complete economical production.